From Days of Wonder is this newest Small World Expansion. 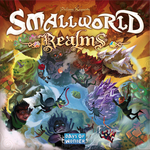 Small World Realms, can be played with Small World and/or Small World Undergrounds. This new game expansion features 48 new 2-sided geomorphic terrain tiles and a dozen new Scenarios. The tiles can be assembled in countless variations, at the players' choice, or set to one of the 12 custom scenarios. So... are you ready to venture into the Realms? The Wizard's Tower Expansion brings new choices to make and new threats to overcome to the family fun co-operative game, Castle Panic. A friendly Wizard joins your forces providing powerful magic spells. The Monsters return stronger, faster, smarter,and with new abilities. You'll fight magical Imps, evasive flying creatures, and more. Make your stand against six new, dangerous Mega Boss Monsters, including the Dragon and Necromancer. You will have fire to attack the Monsters, but beware, your Walls and Towers can be burned down as well! The challenge is high but so is the adventure. 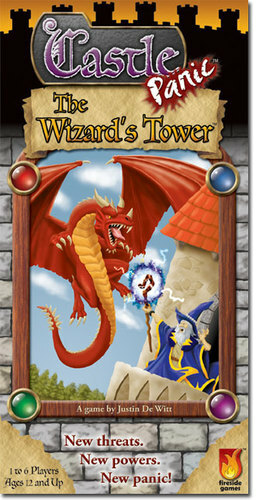 Can you survive more panic and defend The Wizard's Tower? Edo is a worker placement and resource management game set in Japan in the years from 1603 to 1868. 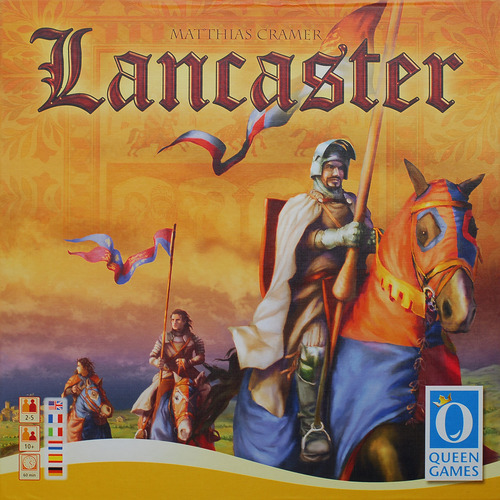 Players use an interesting planning system at the start of each turn. This involves secretly selecting three out of a possible twelve actions to perform with a maximum of four officials (workers) assigned to each action. During the course of the game players will build houses, trading posts, and castles to develop Edo and its surroundings. Players gain points for building and trading with the merchant. They also gain points at the end of the game for money in hand and for any of their officials servings as samurai still on the board. 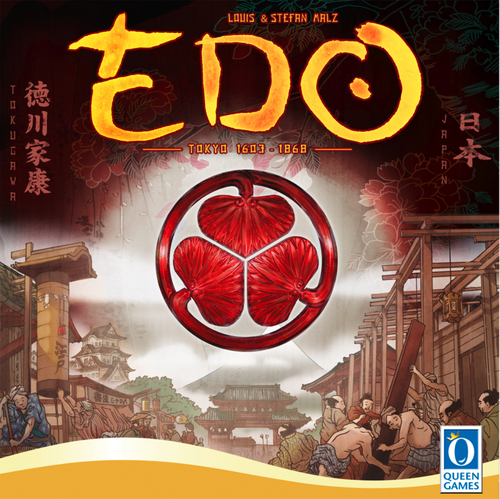 The player with the most points wins, but only if they have built at least one house in Edo. 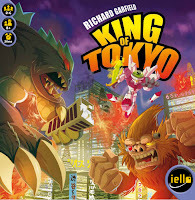 King of Tokyo is the work of Richard Garfield, the creator of the popular collectible card game Magic The Gathering, The Great Dalmuti card game and the board game Robo Rally. King of Tokyo is a crazy game for 2-6 players. 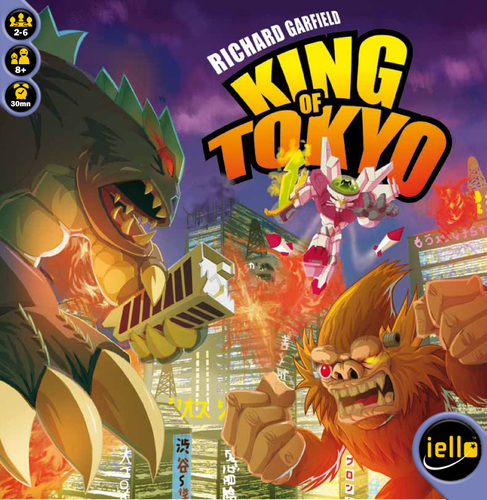 Players embody mutant monsters, giant robots and other monstrous creatures that will fight in a joyful atmosphere for the sole purpose of becoming the one and only king of Tokyo. Players take turns rolling a set of six dice, choosing to keep or reroll some of those dice up to three times. You are trying to make the best possible combinations: victory points, gain energy, attack monsters, or heal your monster. With your earned energy you can purchase cards that grant your monster new abilities. Some cards are also used immediately to cash in points, heal your monster, hurt the other monsters, or shift control of Tokyo around the board. Accumulate 20 victory points and you will be the King of Tokyo.